If you own a Reverse Osmosis System, then you need to know how long do reverse osmosis filters last. This way you are aware and prepared when you need to change the filters. One of the things brought about by knowing and regularly changing your filters is maintaining the high-quality taste of water. Often, you would know that the filters are in dire need of replacement when you taste something weird or develop an aftertaste in your drinking water. Truth to be told, there is no definite time frame on how long filters last. In this article, we will give you a general idea of what to expect, when to change it and what you need to know about it. Why Change Your Water Filters? If you are wondering if it is even essential to change your filters, then the simple answer is yes. It is very significant to change filters often. It would have been easier, and life is so much better if the equipment does not need any changing or maintenance at all. Alas! Most things especially equipment and appliances need to be changed. Like batteries that need charging and systems that require updates, filters also need changing. You need to change the filters of your Reverse Osmosis System to avoid clogging. Once this happens, water will not pass through easily and will cause you more problems. Another reason to change your filters is that you do not want to reach the point of it being overused. When it reaches this level, it will not be effective anymore to filter the contaminants. Thus, there is no point of having a Reverse Osmosis System when it cannot do its job because of defective filters. How Long Do Reverse Osmosis Filters Last? Are wondering how long do these filters last? Well, it depends. There are different kinds of filters, and it varies per manufacturer. If you have a Reverse Osmosis System, then the first thing you need to do is unearth the manufacturer’s guide. This guide serves as a good basis, and it will often outline the number of months before you need a filter change. The standard is to change your filters once every six months. Again, we must reiterate that this varies. You also need to observe your system and check for irregularities. Say after six months you did not notice any significant changes or water quality seems to be the same. Should you still change the filter? Yes, definitely. Even if you do not detect any irregularities or taste change, you should still be wary. It is after all better to be safe than sorry. Changing your filter on a regular basis prevents it from accumulating molds or other harmful contaminants. You may think it is wasteful to change something that is not broken, but it should be done. Incorporate this into your budget so that you will not take filter changes and replacements with a heavy heart. What to Look Out for When It Is Time to Change Filters? There are three significant things that you should keep an eye out for and signifies it is time for a filter change. Low water pressure. 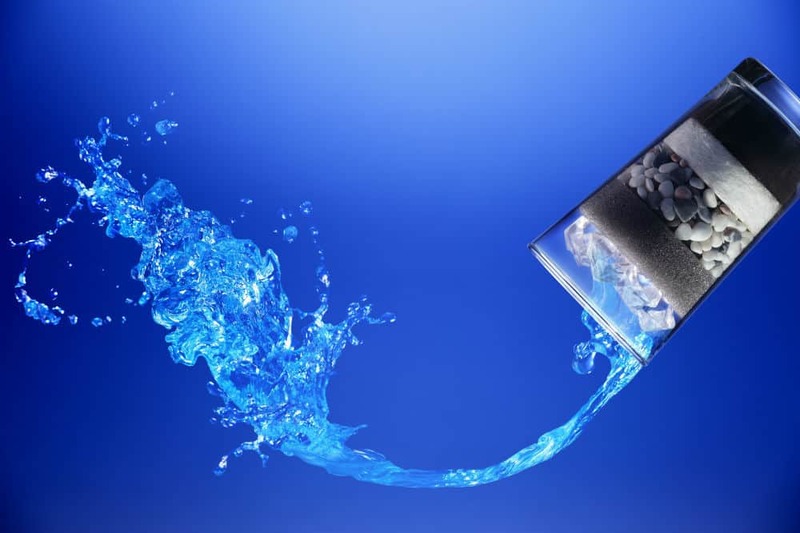 If you notice that the water pressure in your Reverse Osmosis System is particularly low, then this could be a result of a defective filter. It can be fixed by changing the filter, and if that does not work, then there may be other underlying problems in your system. Long time to fill a glass of water. By now, you should be familiar with how long it takes to fill up a glass of water. If you notice that it takes longer than the usual filling time then maybe it is time to change those filters. A weird taste in your drinking water. One of the noticeable things you would encounter is a weird aftertaste in your water. If you notice this change, then it is high time to replace the filters of your Reverse Osmosis System. If you are the forgetful type, then set reminders so that you will be able to keep track of when to change the filters of your system. Knowing how long do reverse osmosis filters last is just the start. You should also know how to replace these filters properly. Luckily, just by scouring and researching on the Internet, you will find a lot of resources and materials. There are ample videos available for you to watch and learn to do the filter replacement on your own. There are also great reading materials you can peruse to learn more about this activity. When you are in doubt and unsure of the technical stuff, then go back to the manufacturer’s guide. Also, your manufacturer may also have a dedicated customer service line for you to call in your needs. Usually, they would offer home services and checkups during the first few years. Avail this offering and when the professionals visit your home, ask questions and learn from them. Once you become familiar and knowledgeable, there’s a big possibility that you will not need their help anymore because you can do it well on your own. In the end, time will take its toll on the products and equipment we use. Knowing when to replace them and just being aware of any dire changes can go a long way to having an efficient Reverse Osmosis System. Aside from replacement, you should also know how to clean your Reverse Osmosis System. By doing regular cleanups, not only you will get to see problems—if there are any—but it will also prolong the life of your equipment. Again, proper cleanup can be done by you or by professionals. It all depends if you want to spend or save money. If you can do it on your own and save some buck, then that is delightful. Remember there is no shame in asking the help of experts. It is better to let them handle any repair, maintenance or cleaning if you have any doubts. You want to prolong the life of your equipment and not destroy it.